This is an engaging book about a part of the world I have never been to but always wanted to travel to. Set in the decades before the rise of the Taliban, this region of high desert and mountains was for thousands of years traversed by hundreds of nomadic tribes. 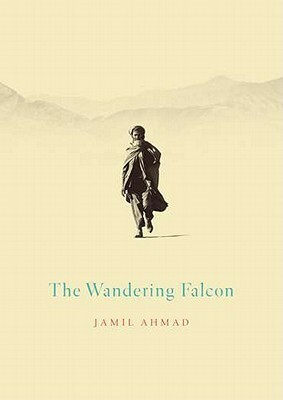 The book was shortlisted for the 2011 Man Asian Literary Prize, for its depiction of this highly traditional, honour-bound culture of these peoples as they move from high mountain homes to the plains with the changing seasons. The book challenges our thoughts as to what constitutes a novel versus a collection of short stories. The child born to runaway lovers in the first section appears in all but one of the other sections and is named only about 1/3 of the way through the book as Tor Baz or Black Falcon. Through the book, he takes on very different personas to survive in life - the orphaned child, the informer, the guide, the seller of women. It is not so much his story but a series of tales tangentially linked by his presence. Whilst he, as an individual, may be of interest to us Western readers of novels, those seeking a character based or plot based novel will be disappointed. Instead this is the collective story of the peoples of the region, as exemplified by the various tales within the book, that are I suspect what was important to the author as he, in the style of those cultures, tells us stories and fables to convey the moral, social, socio-political fabric of a world long since disappeared but whose remnants presumably play their part in that area today. ashramblings verdict 4* I had assumed that this book might have been through the hands of a translator before I read it, but now I think not. The prose flows beautifully. It is like you are sitting in front of a consummate storyteller listening with ease and being hooked on every word.